Kylie and Aaron were married on Sunday at the beautiful The Chapel at Anna Villa in The Colony. It was a gorgeous day and a fantastic wedding. Kylie and Aaron met at Abilene Christian University during a Life Group event. They dated for 3 years and then Aaron concocted an epic proposal this summer and Kylie of course said YES! I’ve know of Kylie for years due to knowing her cousin. When she contacted me about photographing her wedding, I was so honored. I finally got to meet Aaron at the engagement session and let me tell you these two are so PHOTOGENIC! I think it was one of my favorite engagement sessions I did this fall. These two are so effortless together and made my job easy to capture their love for one another. Kylie planned her wedding fairly quickly and she and her mom did an excellent job. Every detail was amazing. My favorite part of the day was when Kylie and Aaron read each other their personal vows back to back. We took them to the small courtyard at the venue and placed them back to back and each read their vows to the other before the first look. I’m not sure who was crying more between myself, Krista or Kylie. It was such an emotional moment that was so pure and genuine. Once Aaron turned to see Kylie, he was speechless. He could not believe how stunning his bride was. This was one of my favorite first looks ever! During the ceremony, they chose to do something I had never seen before, a Locking Tree. This metal tree has placed for locks to be added, so they had their grandparents and parents, place their own locks and then Kylie and Aaron put their’s on the tree. They have such a long line of love to guide them. I loved seeing this added and it was so different. After they were pronounced Husband & Wife, we had fun taking a few family photos and then onto the reception. DJ K-Shot got everyone introduced and then they shared their first dance. Kylie and Aaron can dance and they took over they floor with everyone watching and smiling. They both danced with their parents and then it was time for some fun. DJ K-Shot had the bridal party do a dance off and none of them knew what they were about to do. Several of the bridesmaids and groomsmen killed it but their can only be one winner for the Italian dinner for two prize and the winners totally earned their prize. The reception was filled with dancing and lots of mingling. At the end of the night, Kylie and Aaron had a private last dance and then exited through LED balloons. It was such a magical day and I know one they will remember forever. I was so blessed to work with this couple and now I get to see what God has planned for their future. I hope you two are having an amazing honeymoon. i am so glad you stopped by! i would absolutely love to meet with you and hear about your wedding. click on the button below and I will get back to you as soon as possible. 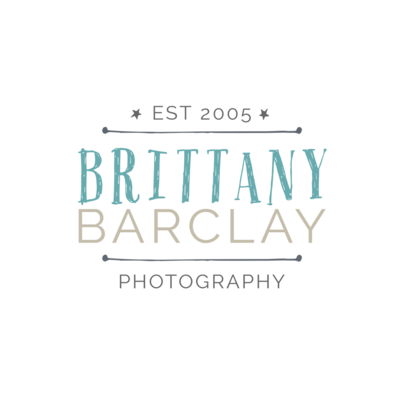 ***If you are NOT inquiring about a wedding, please email me at brit@brittanybarclay.com instead of using the contact form. Thank you! I look forward to speaking with you! You can expect a response within the next 2 business days to discuss your wedding and photography needs!